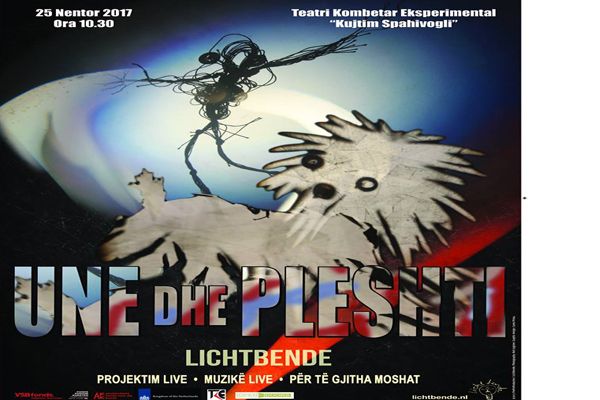 The Dutch theatre, Lichtbende, will be in Tirana with its show "Me and the Flea", on Saturday, 25 November, at 10:30, at National Experimental Theatre "Kujtim Spahivogli" The Embassy of the Kingdom of the Netherlands, invites you together with your kids (+4 years old) to join and see with your own eyes how the show is beign created by bringing light to life through projecting on a huge screen. It's a kids' show that adults would also enjoy - full of humor, music and animation. The entrance is free!